We needed to find a way to help fans fall back in love with one of the world's most classic burgers of all time. 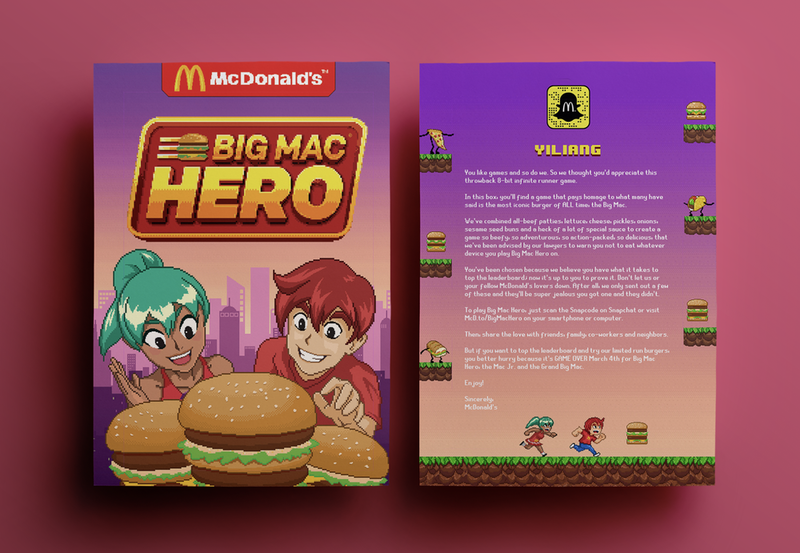 When you’ve got the most iconic and nostalgic burger out there, there’s only one thing left to do: create a throwback 8-bit game to match. 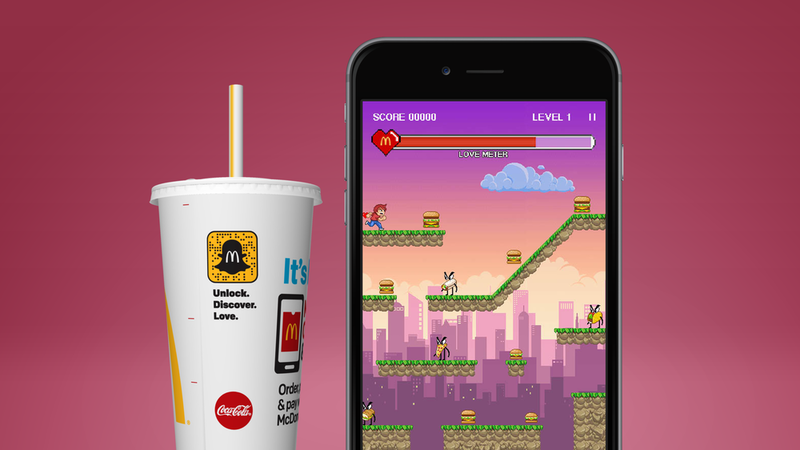 Big Mac Hero invited foodies and fans on a daring journey to run, jump, and level up their love meters while collecting as many Mac Jr.’s, Big Macs and Grand Big Macs as possible, all while dodging other fearsome foods. Customers/players could unlock the game via exclusive SnapCodes that were only available on McDonald's cups. But why stop at a McDonald’s game, when you can create an entertainment system? So that’s what we did, kind of. We sent an invitation to our biggest fans and big name gamers along with a care package reminiscent of old school entertainment system favorites.